Palate: Fine notes thanks to being distilled five times. Straight from France, this stylish and elegant vodka is derived from 100& French wheat. 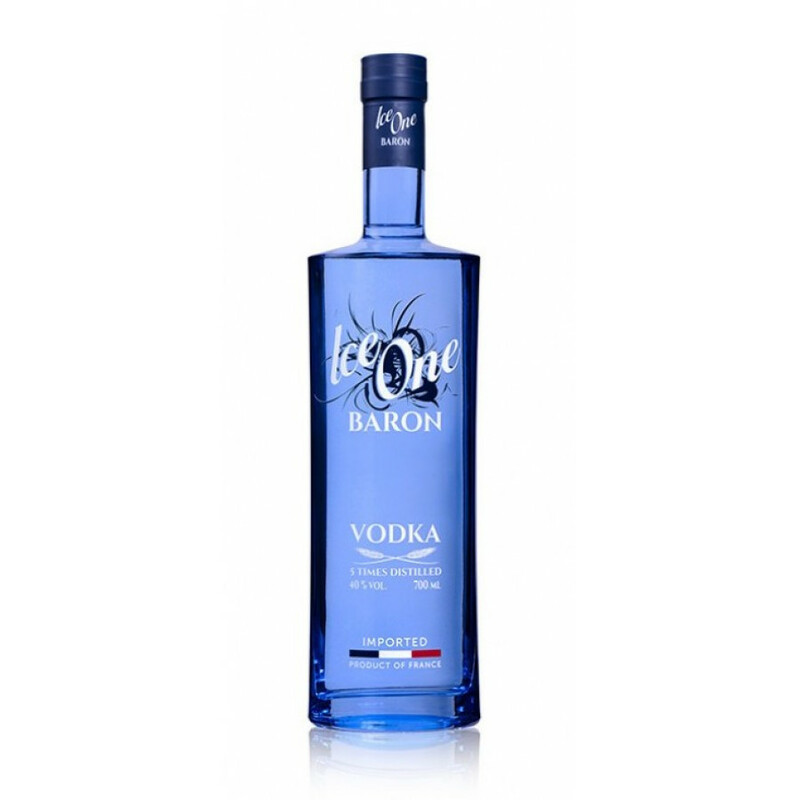 Distilled five times before bottling, the Ice One Baron Vodka is at 40% ABV strength. Created in the Charente region, you can guarantee that the heritage and expertise of distillers in this part of France will deliver a high quality vodka. It is distilled using only high quality ingredients, and Gensac spring water which is naturally filtered. The result is an intense and supple vodka that is perfect with many mixers and cocktails. The bottle is fresh, blue and crisp, with the tricolor French flag on the bottom. Eye: Clear Nose: Elegant scents. Palate: Fine notes thanks to being distilled five times.